George Lyward was a charismatic educationalist who lived between 1894 and and 1973. 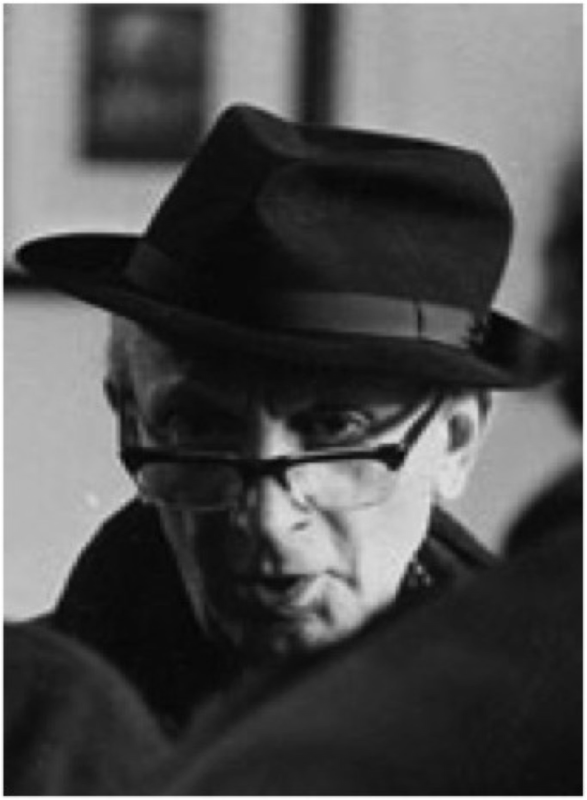 He is best known for achieving outstanding results at Finchden Manor, a therapeutic community for disturbed boys. I was fortunate to spend some time learning from him when I was running therapeutic communities. George Lyward’s work reached a wide audience in 1954, with the publication of Michael Burn’s book, Mr Lyward’s Answer. Visitors to Finchden saw the physical chaos, but also something deeper. Some called it ‘poetry’. George – affectionately known to all as the ‘Chief’ – created an environment in which troubled boys were able to heal themselves. Almost 50% of the boys managed to steer clear of future state care. These were excellent results, considering the deep seated nature of some of their problems. On the other hand, however, there were youngsters who continued to get into trouble, some going on to a life of crime. Nevertheless, Finchden provided a light in the darkness for many young people. Here is a summary of the Memorial Address given by John Prickett at St. Martin’s in The Field, in October 1973. George grew up in London, near Clapham Junction station. His father was an opera singer, but soon left the family home and seldom returned. His mother was a primary school teacher who, to make ends meet, lived with her sisters. George grew up with his mother, two aunts and two sisters. Contracting poliomyelitis early in life, he had a weak leg, which laid him open to bullying. Channelling his energy into studies, he won a scholarship to Emanuel School, a public school in Battersea. Becoming a prefect, he was put in charge of the lower fifth, known as the ‘toughs’. He then became aware of his ability to get on with ‘difficult’ boys. 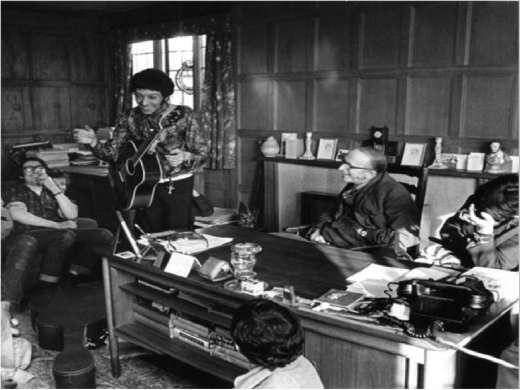 Leaving Emanuel, George worked in two preparatory schools and then pursued a choral scholarship at Cambridge. He loved his time at the university, taking the lead role in many musical productions. Studying to become a parson, he changed his mind two weeks before his planned ordination. “It was while he was recovering at this nursing home that Dr Crichton-Miller (who was treating George) asked him to help some boy patients of his. 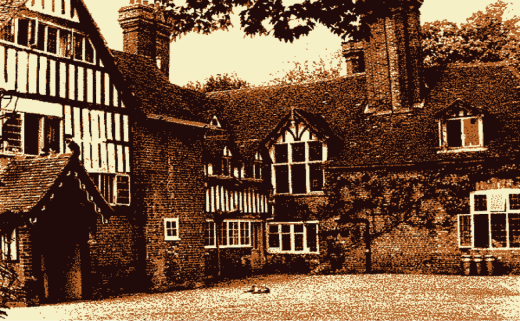 He was so successful in this that eventually, as the demand for his help increased, he moved, at the suggestion of Dr Rees, to the farm of one of Rees’s old patients known as the Guildables, in Edenbridge, Kent. That was in 1930. “It was in 1931 that he went from the Guildables with a friend for a few days holiday at Cromer. On entering the hotel courtyard he saw a group having tea outdoors, among whom was a girl with wonderful copper coloured hair. He later claimed that as soon as he saw her he said to his friend, ‘There is my wife.’ And so it proved to be. “And so when he came to Finchden he had the support of a wife gifted in many remarkable ways whom he has rightly described as being ‘of heroic stature’. Her untimely death, and the tragic illness which led up to it, deprived Finchden of a source of warmth, colour and gaiety for which she will always be remembered with affection. George had the ability to immediately reach young people, especially those who were ‘fighting themselves or fighting the world’. Finchden provided a sanctuary where there was little point in fighting anybody. Once the boys experienced this realisation – and the feeling of others caring for them – they could get on with their lives. Let’s explore some of the principles that were followed at Finchden. Tom Robinson, the musician and radio presenter, explains his own introduction to Finchden, particularly how George Lyward immediately connected with him. “One night in the winter of 1966 I swallowed a handful of pills in a boarding school dorm to try and end my life, having fallen hopelessly and unrequitedly in love with another boy. “My subsequent spell in a clinic with tests, sedatives, antidepressants and psychoanalysis did little to improve my frame of mind. Today my despairing father was driving me through the Weald of Kent towards my last hope – an interview at Finchden Manor. “At the very edge of Tenterden a curving gravel drive hedged in with overgrown yew gave suddenly onto the courtyard of a battered Jacobean manor house. “That lunchtime we sat jammed rowdily together on wooden benches at trestle tables. Hygiene was basic yet the food was edible, the shouting banter good natured, and the atmosphere vigorously alive. It couldn’t have been more different from the Quaker boarding school I’d just left. Practicing the art of ‘losing time’, being in the moment and experiencing life. The boys were given ‘a respite’. Nobody was forcing them to do anything – so they could experiment without unreasonable expectations from authorities. But – and it was a big ‘but’ – people quickly understood the consequences of their actions. If a new boy decided to ‘fight’ by throwing bricks through the dorm windows, they and their room mates froze in the wind. If the dishes were not washed up, nobody had hot food. The act of living together – and seeing the effects of one’s actions – was real reality therapy. Cast free from ‘threats’ – past or future, real or imagined – the boys began to develop their own rhythms. They learned to fully experience life in the moment and, as a consequence, follow their true selves. Their future lives may be unpredictable, but this sense of being real provided a good start. Providing many different forms of stimulation – including ‘paradoxical interventions’. Despite its timelessness, Finchden was full of surprises. Tom Robinson explained that there might be breakfast outdoors, strawberries for tea, a trip to the seaside, a formal dance, months of preparation for a Shakespeare play or even double pocket-money one week. One morning, out of the blue, there might be an instruction for a ‘command performance’. The boys were expected to put on a cabaret to be delivered that night. The boy who arrived late was worried about the reaction, only to be met Mr Lyward saying: “Give this boy a hot breakfast.” (A rare treat.) “In fact, give him double bacon and eggs.” The boy was never late again. John Prickett explains why Lyward used such an approach. “He saw that the loosening up of compulsive patterns and reactions could be helped by paradoxical treatment which surprised, even shocked, and forced the boy to ask himself questions. Did George Lyward’s methods work? The community achieved a ‘success rate’ of almost 50%, but it also had strong critics. Finchden certainly had an advantage over the state system. It chose boys who had the ability to gain insights into their situations. For almost 40 years, however, it helped such youngsters to develop a more enriching life. 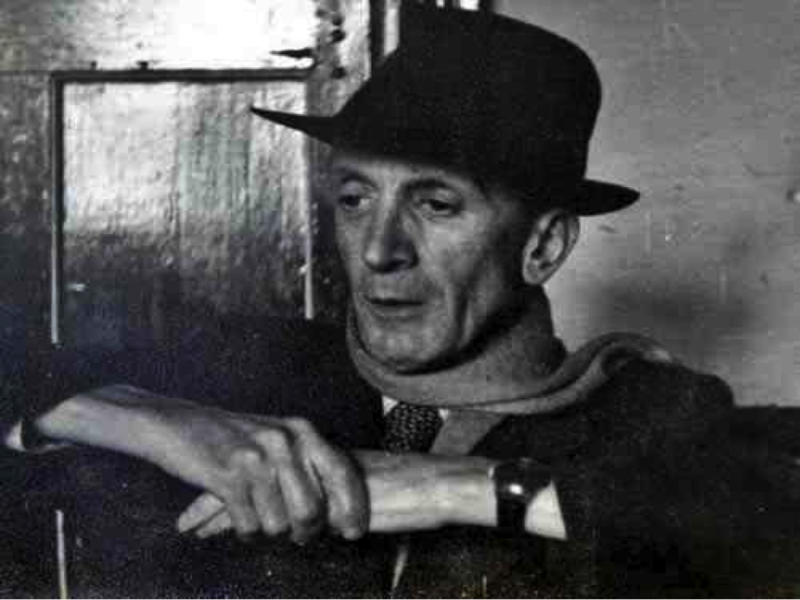 George Lyward’s legacy had a profound effect on other pioneers in education and therapy. The Peper Harow residential community in Godalming, Surrey, for example, adopted many approaches used at Finchden. Led by Melvyn Rose and founded in 1970, it gained an international reputation for outstanding work with disturbed adolescents. For over 20 years, it provided a therapeutic environment for teenagers who had suffered abuse. 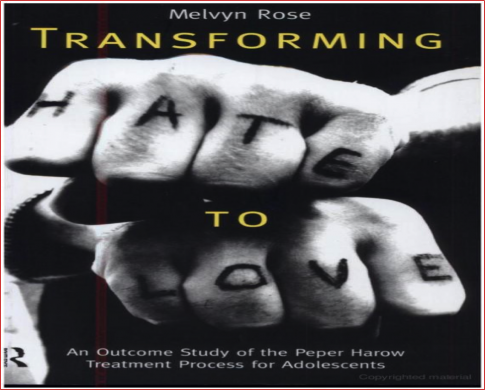 Melvyn’s book, Transforming Hate to Love, catalogues Peper Harow’s excellent results. Modern society spends enormous amounts of money caring for the perpetrators and victims of crime and family breakdown. The approaches adopted by Finchden and other communities may have been unorthodox. Mr. Lyward’s approach had a profound impact on many young people’s lives. The language he used – and the way he connected with people – was different.